Ethnic Serbs in Kosovo are living in fear of losing their land and property as the situation in the region remains precarious. Lyubica Kovacevic, 82, lives in a Serbian enclave in Kosovo. Every evening she hopes the night will be trouble free. “It won’t stop them. If they want to steal they’ll do it anyway, as they have many times, but I feel better if I do this,” she explains as she fastens her tractor with a chain. The people she fears are Albanians. Lyubica’s small village with only 12 houses is in the middle of a large Albanian community. If something happens, Lyubica, who lives with her little grandchildren, says no one will come to help them. “They steal tractors and cows. We live in fear. We never know what tomorrow will bring. We try not to think about it. Many of us have gone. If nothing changes, I think there will soon be no Serbs left in Kosovo,” she told RT. And some statistics echo Lyubica’s fears. In 1998, a year before NATO’s bombing of Serbia, Albanians made up 66 per cent of Kosovo’s population. Today, three years after the region’s self-proclaimed independence, this figure amounts to 92 per cent. 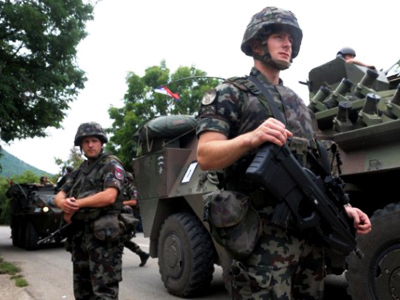 Thousands of Serbs have left Kosovo. Some who have remained say they have forgotten what living in peace is like. Lyubisha is also a Kosovan Serb, his house on the verge of a small Serbian enclave. He has another word for it though. “Ghetto. This is a prison with few inmates. They say ‘you can stay here,’ but they do everything to make our life here impossible. There was a beautiful forest, with huge trees like this here. They cut it all down. Look, only bushes left. 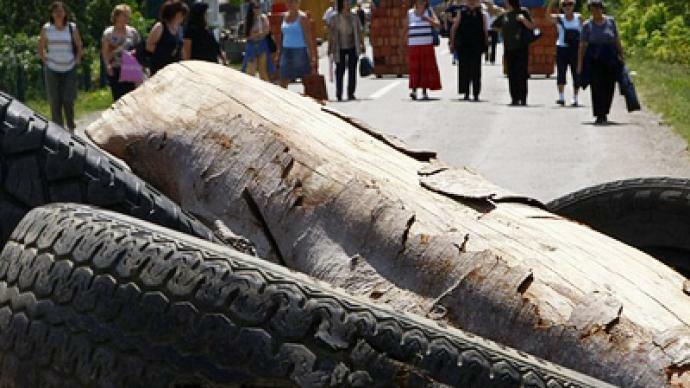 But if we do it, they take our wood and beat us,” Lyubisha complained. Lyubisha has two children and wants more, but says his desire for a larger family will do little to help strengthen the Serbian population in Kosovo. Every Albanian family here has from four to 10 children, making this ethnic group one of the fastest growing populations in Europe. 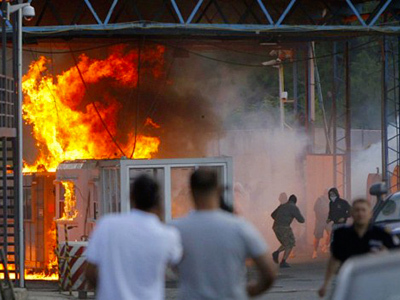 And it seems as the Serbian minority decreases, voices grow louder and the fight turns fiercer. 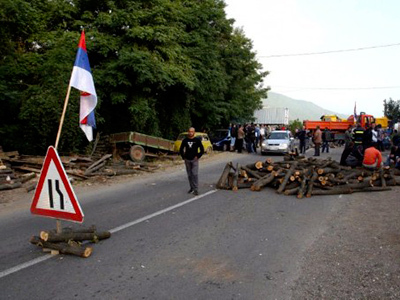 Recent clashes in Northern Kosovo at the disputed border with Serbia following Pristina’s attempt to take control over the checkpoints showed that Serbs are standing strong among their remaining communities. “How long should we prove to the rest of the world that this is our land? How long should we fight for it? I want a normal life back, we miss it so much. But we are afraid they won’t stop until we all leave or die,” says Ljiljana Ljumovic, a Serb woman who lives in Kosovo. Since 1999, many ethnic Serbs have fled Kosovo leaving sad reminders spread all over the region – empty houses. There are fears that what Serbs always considered as their heart could soon stop beating.